At Jack Daniel's, it isn't about what's under the tree. It's about who's around it. Once again, the Operation Ride Home program will help enable service members and their families to travel home for the holidays. Jack Daniel's has kicked off the program with a $100,000 donation to the Armed Services YMCA. We hope, as a Friend of Jack, you will join us in this effort. 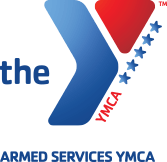 The trained staff of the non-profit ASYMCA will work closely with military commands and volunteers across all service branches to identify those service members and families in need of travel financial assistance. While our nation’s military does a wonderful job of getting our troops back to their base from deployment, it’s just not home. Let’s get even more service members and their families home this year. To learn more about the Armed Services YMCA, visit www.asymca.org.